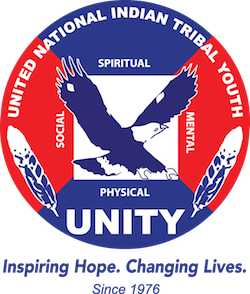 Food Sovereignty: Free Wellness Warriors Webinar – UNITY, Inc.
Join us, for UNITY’s first Webinar Wednesday of 2019, on Wednesday, January 30th. This month’s webinar will feature Twila Cassadore, of the San Carlos Apache Tribe, presenting on traditional foods diet and her work on food sovereignty. Twila has been working with San Carlos Apache, White Mountain Apache, and Yavapi peoples for the past 25 years, conducting interviews with elders to bring information back into the community to address health and social problems. Twila described the importance of foods like grass seeds and acorn seeds to the diets of Apaches before people were moved onto reservations and became reliant on rations, and later, commodities. Our one-hour webinar will begin at 5pm Eastern. Sign up and tune in for our healthy foods presentation. A Special Thank you to the W.K. Kellogg Foundation (WKKF) for their ongoing support of the UNITY Wellness Warriors national native youth initiative. WKKF supports children, families and communities as they strengthen and create conditions that propel vulnerable children to achieve success as individuals and as contributors to the larger community and society.